As you may imagine, any one of these effects can cause changes that ripple and affect every aspect of life. Fortunately, there are a variety of rehabilitation methods to help those recovering from a stroke. 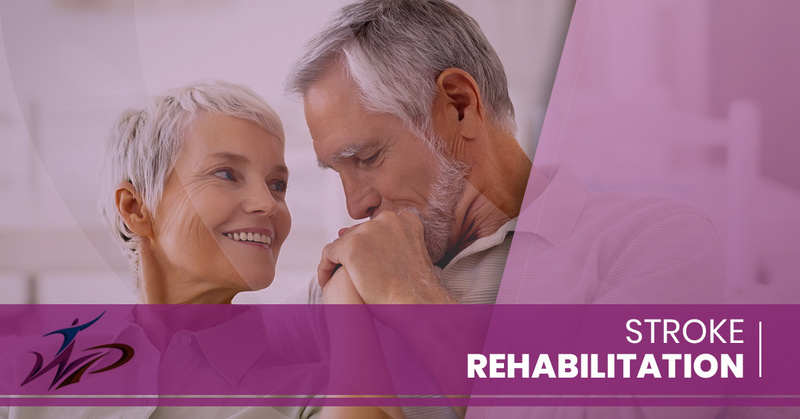 It may not always be possible to regain function as experienced before the stroke, but stroke treatment and rehabilitation methods can aid in the recovery process and help regain significant function and independence. Given how wide-reaching the effects of a stroke can be, recovery can be a long road. Even after release from the hospital, ongoing care will likely be needed. Both physical therapy and occupational therapy are often vital for providing help through the recovery process. Not only will basic care need to be seen to, but a stroke patient will also need to re-learn how to perform certain tasks or learn to modify their routine based on new limitations. This is where occupational therapy comes in. Physical therapy helps with the physical side of recovery, as the name implies. It is there to help build strength, stretch, and otherwise help the affected area heal. Occupational therapy, both in conjunction with physical therapy or on its own, focuses more on the tasks associated with daily life. An occupational therapist works with each patient individually and provides the tools necessary to help someone recover from a stroke and relearn necessary skills. Since strokes can cause different effects in different people, the emphasis of occupational therapy sessions is going to be tailored to an individual’s needs. The effects of stroke vary from one person to the next. Likewise, stroke treatment and rehabilitation should be just as individualized. WholePerson Therapeutics will work with you or your loved one from hospitalization and stroke treatment all the way through to rehabilitation and post-rehab care. This includes working one-on-one with a patient to relearn how to perform tasks like walking, eating, dressing, and other activities for daily living (ADLs). Occupational therapy also includes learning modifications or using assistive devices when a stroke patient has not regained full function. Ultimately, the goal is to help every patient regain as much independence as possible and enjoy a high quality of life, even if a stroke has caused lasting limitations. Each care plan will be different, so there is no one easy answer to sum up what we do to aid in stroke recovery. However, WholePerson Therapeutics can help evaluate a patient’s needs, develop and implement a recovery plan, and guide you and your family through the recovery process. Our focus is on the most important and impactful aspects of everyday life first. This includes learning modifications or relearning how to bathe and feed oneself, handle the shopping, and drive or navigate other transportation methods. In addition to the actual rehabilitation and therapy portion of the recovery, many stroke patients will need modifications at home to help with mobility. We can assess what modifications may be needed and help get those implemented so you or your loved one can be safe and retain as much independence at home as possible. If your loved one has recently had a stroke, occupational therapy is one way to help them recover and regain their quality of life. At WholePerson Therapeutics, we treat all of our patients like the individuals they are. We personalize our stroke treatment and rehabilitation plans for each patient individually to ensure each patient gets the help they need. For those that live in Shelton, Connecticut, and surrounding areas, contact us today and see how we can help.